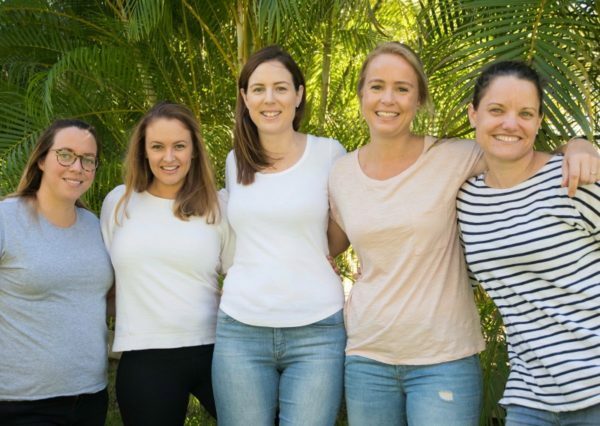 Many families on the Gold Coast are struggling to provide the essentials for their young children, prompting five young mums to create non-profit organisation, Baby Give Back, where donated clothes and other items are given to those who need them most. When Julie McBride, one of the five mums behind the charity Baby Give Back, learned that one in six children on Queensland’s Gold Coast are living in poverty, they realised families were struggling to afford clothes, cots, nappies and other basic essentials. A similar business model to Melbourne organisation, St Kilda Mums, (who have actually provided advice and tips to Baby Gives Back for setting up their processes and systems), the Gold Coast based charity collects donations of new and used baby items which are then distributed to local families in need via social services agencies and hospitals. A recent partnership with the Red Cross also meant they could provide a huge amount of items and essentials packs to families affected by the Lismore floods. The idea for Baby Give Back was initially conceived several years ago by founder Carly Fradgley, and became an official registered charity earlier this year. The overwhelming community support for the organisation has skyrocketed its growth and the mums (of nine children), who are currently working out of their garages, have now set up a crowdfunding site to raise $30,000 this winter to rent a warehouse that will allow them to expand their operations to help more families in their community. Donating new and used baby goods (for ages 0-2) – They accept items such as cots, bottles, clothes, toys, books, prams, bassinets, car seats and more. Even a small gesture such as buying an extra packet of wipes when you’re at the supermarket to then donate can really go a long way. Creating awareness for the charity and what they do – Talk to other mums and follow Baby Give Back on Facebook and Instagram. Volunteering time to help out – Jobs include sorting and packing donations, knitting or sewing toys and clothes, conducting safety checks on items such as cots and car seats, and washing clothes so they’re ready for redistribution. According to McBride, they’ve had people in other states and areas inquire about their charity so in the future they might try and have other Baby Give Backs in other parts of the country. What a great initiative! We hope Baby Give Back reach their fundraising goal soon. To donate funds head here – all donations over $2 are tax deductible.